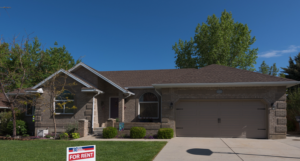 As the owner of single-family rental homes, you will often find it difficult to gauge how well your residents are upholding each of the terms of their lease. Even if you’ve carefully spelled out your terms in clear language, several aspects enforcing the lease are often more trouble than others. One of these is the issue of occupancy. Upon signing of the lease, you probably asked your residents to provide information about everyone who would be occupying the home. By clarifying who will live in the home, you’ve taken steps to protect yourself and your investment. After your residents move in, however, you will find it difficult to determine whether the occupancy terms are being followed. Occupants of single-family rental homes often invite overnight guests or others to the home. But problems can arise when those guests stay for an extended period, or when someone visits with such frequency (such as a babysitter) that they appear to be living there when, in fact, they are not. In other cases, residents may be subletting rooms in the property without permission from the landlord. We have even seen some cases where tenants have made makeshift bedrooms in garages, basements, even living rooms, and closets!! This can be a tricky area for enforcing the lease! Avoid accusing your residents of violating lease terms and enforcing the lease without proof, a mistake that can severely damage your relationship with them. But if you suspect an occupancy violation, gather as much information as you can and then take appropriate action. If unauthorized people are living in the home, this can put you at risk of violating occupancy laws in your area, as well as increase other liability risks such as inadvertently creating a tenancy if the person stays long enough. Yet at the same time, you will find it difficult to correctly assess an occupancy situation from afar, or even know what to look for in the event a violation has occurred. Hiring a reputable property management company helps solve this problem. An experienced property manager can help you avoid the murky terrain of occupancy violations and enforcing the lease in several ways. First, they will include appropriate language in the lease itself, defining the terms of occupation. A good property manager will properly vet potential renters, checking carefully for red flags and past violations. A great property manager will schedule and perform regular property evaluations, gathering information that can identify any contract violations. Finally, they will help you resolve the issue in the event of a violation, giving you peace of mind about your valuable real estate investment. Appropriately managing a property and preventing issues like unauthorized residents or subletting cannot be put on autopilot. Tenants can be incredibly sneaky, and having a trained eye during inspections can help address issues before they become really big problems that can lead to legal proceedings and really having to crack down on enforcing the lease terms! Did you know that we offer customized management services? Don’t need full service management? No problem! We can customize a plan that lets you stay in control, but get the extra help you need to free up your time and reduce your stress!